Sarah Palin’s new book, Going Rogue, An American Life continues unprecedented success, so much so, many of the nation’s top retailers are counting on it to beef up their bottom lines this year. Sarah Palin’s memoir, “Going Rogue: An American Life” will likely be a mega-seller when it hits bookshelves next month, a shot in the arm for the book business and perhaps also for the former Alaska governor’s unorthodox political career. “Right now it’s our top preorder online,” said Kathryn Popoff, vice president of trade books at Borders Group Inc.
As you know, Sarah’s book was number one in sales at Barnes & Noble less than 24 hours after they started taking pre-sale orders, and number one at Amazon, who came to the party late, less than 12 hours after that. Immediately sales of w her book were called unprecedented and speculation was, the first printing of 1.5 million would not last long. Fascination with Ms. Palin could turn her into a gold mine for retailers. In a season crowded with new books from leading authors, many stores expect “Going Rogue” to be a hit, tapping into the conservative book-buying audience that catapulted Michelle Malkin’s “Culture of Corruption” and Glenn Beck’s “Arguing with Idiots” to the top of the lists. Tina Andreadis, a spokeswoman for HarperCollins, said the publishing house is still formulating its marketing plans for the book. She said Ms. Palin is likely to make numerous bookstore appearances. 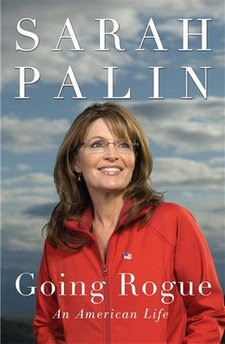 As the book title suggests, Ms. Palin seems to be trying to manage her own political image. According to supporters, she has a tiny circle of advisers—mainly her husband, Todd Palin, and former gubernatorial press secretary, Meghan Stapleton. Ms. Palin relies heavily on social media Web sites such as Facebook to get her message out to fans directly. Meanwhile, Wal-Mart and Amazon are looked in a huge battle for customers and have started a good old fashioned price war! Walmart’s aggressive discounting of upcoming books by Sarah Palin, Stephen King and others has triggered a full-scale, online price war. As we noted yesterday, Walmart dropped prices on the Top 10 pre-selling books — including Palin’s “Going Rogue” and King’s “Under the Dome” — to $10, and threw in free shipping. Amazon quickly matched that price, leading Walmart to drop to $9. By this morning, Amazon also had priced the books at $9. The new prices even undercut e-books, which Amazon sells for $9.99 — a price that some publishers have complained about as unrealistically low. The price war puts more pressure on competitors such as Borders, Barnes & Noble and independents, too. But it’s a sudden, welcome windfall for consumers. Obviously this is great news for consumers who want to buy Going Rogue, but hate to pay retail for anything! At this price, I imagine a lot of stockings will be stuffed with Sarah’s book this Christmas. Amazon.com has the book for $9 and free shipping is available on orders over $25. Order here. Wal-Mart offers the book for $8.99 and picks up the freight as well! Order here. I know I can’t wait to get my copy of Sarah’s book, it is certain to be a fascinating read. 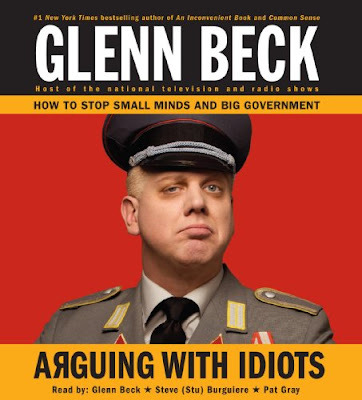 And if you are ordering from Amazon, and need another order to hit the $25 free freight plateau, you should check out Glenn Becks Book: Arguing With Idiots, How To Stop Small Minds And Big Government. It’s a must read book full of incredible information about our nation. In fact, I believe it would be the perfect textbook for all ages!